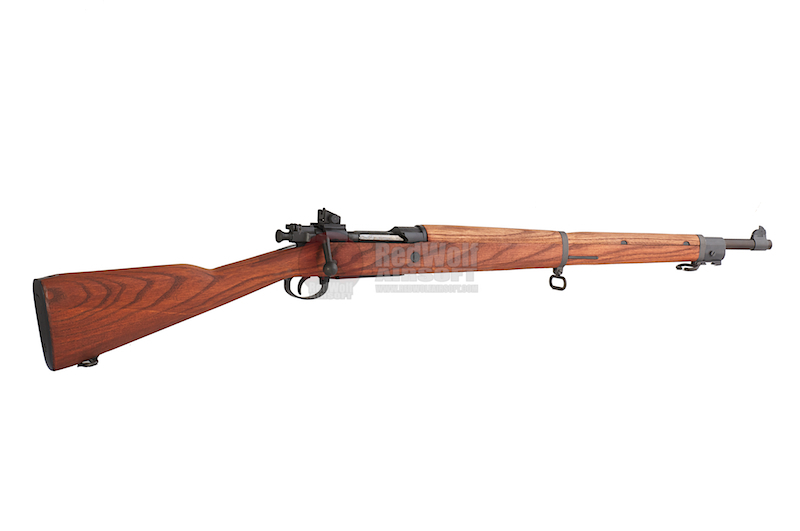 The M1903 Springfield, formally the United States Rifle, Caliber .30-06, Model 1903, is an American, 5-round magazine fed, bolt-action service rifle used primarily during the first half of the 20th century. It was officially adopted as a United States military bolt-action rifle on June 19, 1903, and saw service in World War I. 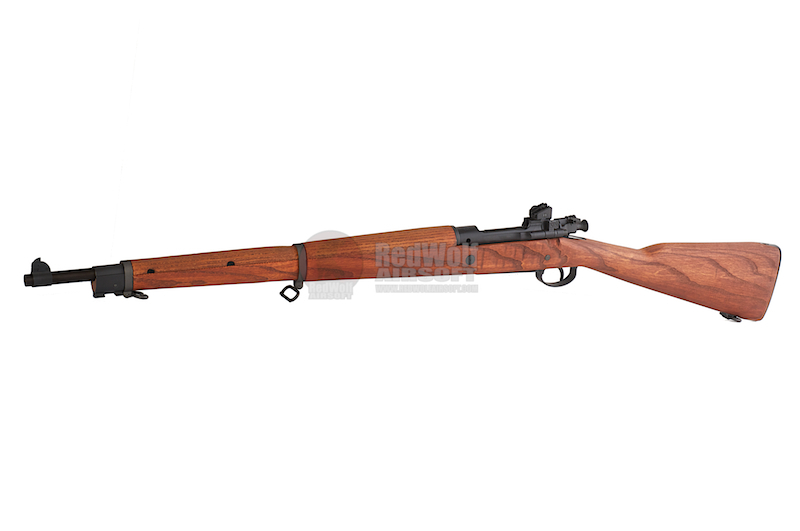 However, the M1903 Springfield remained in service as a standard issue infantry rifle during World War II, the Korean War, and even in the early stages of the Vietnam War. 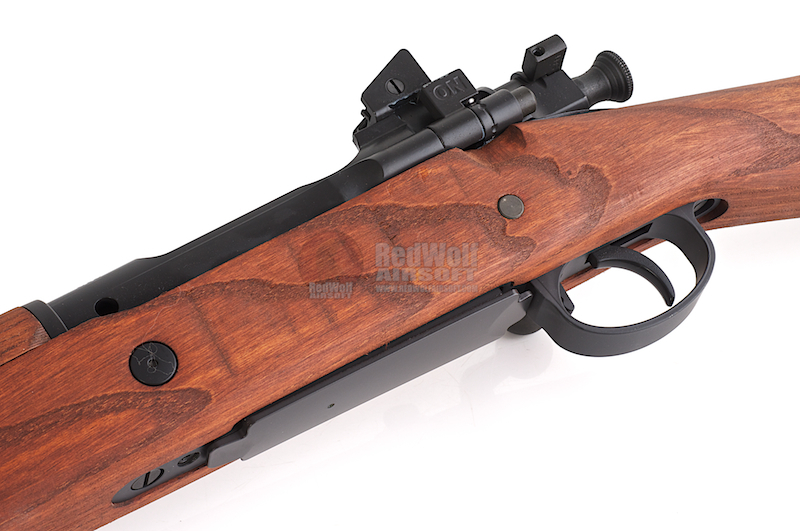 The GM1903 feels very much like the Kar98k as the bolt action system is very similar. 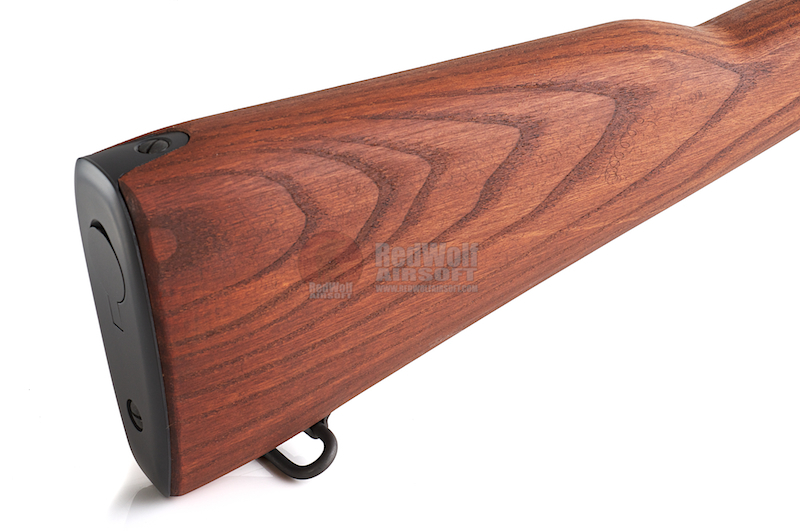 Though it may not be as complex as the Tanaka Kar98k, the smooth bolt action is both satisfying to see and listen to. Since this is an airsoft replica, you don't need to pull the bolt all the way back to chamber the next BB as even an inch back is enough. It's made out of real wood with a combination of steel and zinc metal parts. It feels fantastic even though it may not be the most skirmishable sniper rifle, but you wouldn't get it to skirmish with much. The GM1903 belongs on a wall. If you were to take it out, the 440 fps it gives is enough to take our your targets from afar with no problems at all. 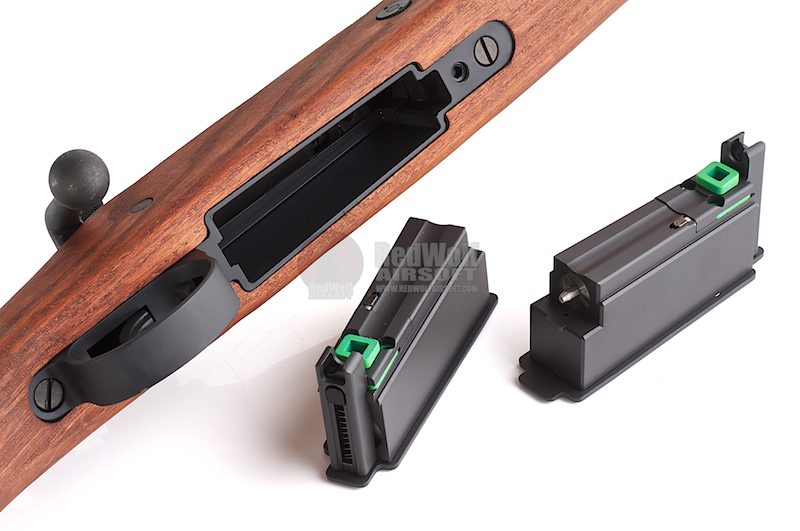 You'll definitely need to carry more magazines as the 9 rounds can go quicker than you think.